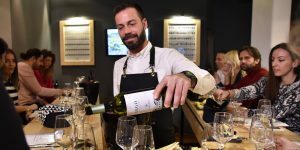 Some of the Greece’s most famous wine- and cheese-producing regions lie just outside Athens, but there’s no need to leave the City of Gods to indulge in this culinary pairing. Here are a few ways to treat your tastebuds to cheese and wine in Athens. 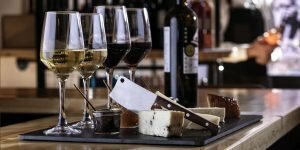 Our welcoming wine experts will share with you some of their favorite wines and show you how pairing different cheeses and different wines can create unique and delicious flavors. Sample great Greek cheeses like traditional Feta, San Michalis, Naxos gruyere and Metsovone. Gain a better perception and appreciation of the Greek wines and Greek cheeses. From the moment you arrive at Athens-wine tasting you will know you are in good hands. You will be greeted warmly by our staff and get settled in. After meeting our wine connoisseur, you will receive a great overview of the Greek wine region, and with maps and charts you will understand how different grapes and the diverse terroir of the country have led the vast number of varieties of wine produced. 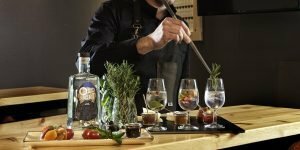 Paired with artisanal Greek cheeses you will discover the incredible flavours that can be created simply by combining different wines with each. Still water and bread will be available as palette cleanser. Our wine ambassador is happy to share his love and passion about wine and answer all your questions. A treat for senses and the mind, you will finish up your tasting feeling more confident in understanding the different wines, thanks to what you ‘ve learned and the varieties of wines that you have tasted.